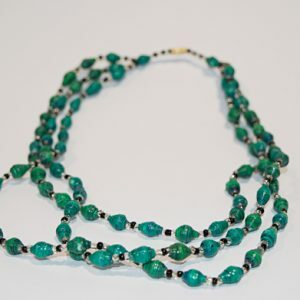 – Handcrafted beaded necklace made from recycled paper by a local women’s cooperative in rural Uganda. 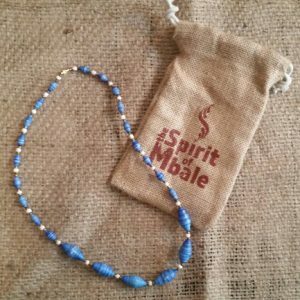 – All proceeds from the sale of this product support health programming in rural Uganda, through the Adelaide MbaleChildren’s Health Fund (AMCHF). 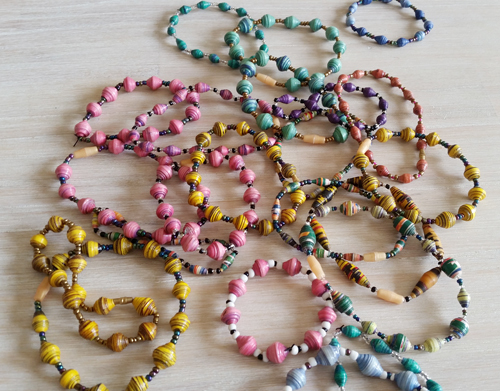 “ The sale of these beads means my children can have a good education, and I can build a brick house and a good life for the future. God bless this venture” – Angela the Cooperative Leader.